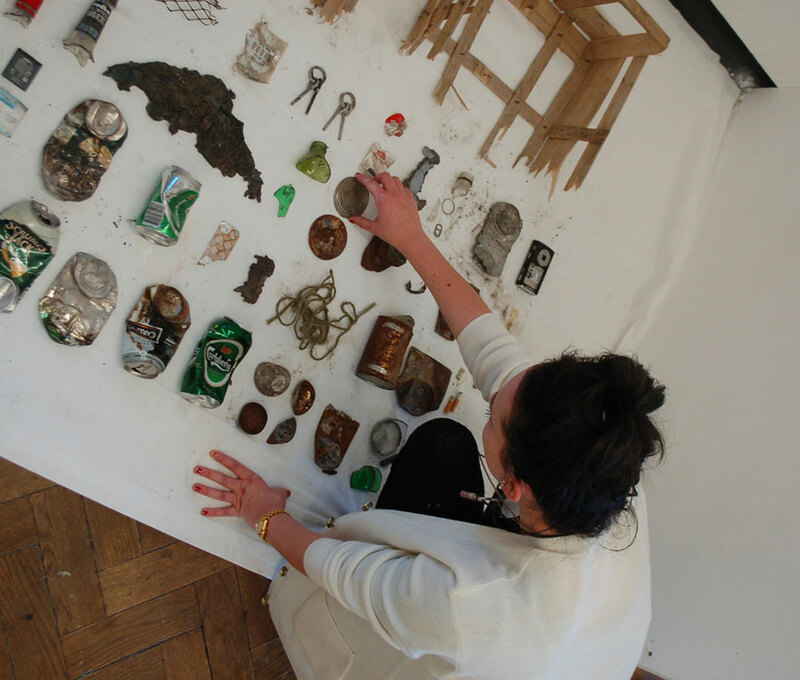 Our MA Art and Design: Interdisciplinary Practices develops your professional practice while engaging with the hybrid nature of art and design in contemporary culture. 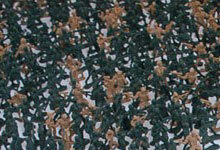 You will apply art and design methodologies to challenge conventional viewpoints. 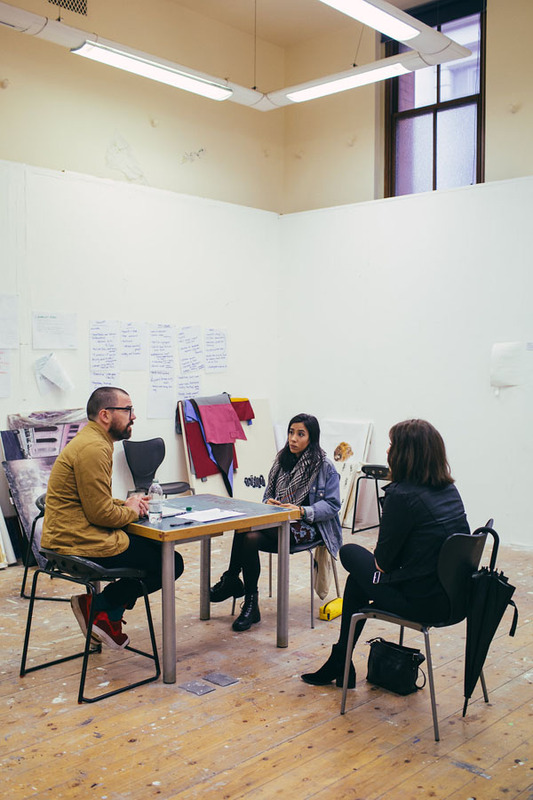 A multidisciplinary team of expert staff encourages you to work across mediums, processes and working methods (such as photography, installation, print, digital media, sculpture, illustration, curatorial practice, textiles, drawing, sound, graphic design, site-specific art, participatory arts or 3D design). 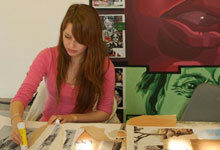 This stimulating course offers you an education in contemporary art and design from an interdisciplinary perspective. You will be supported as creative individuals from a range of tutors and practitioners, with the aim of pushing your existing practice in new directions. The course helps you develop a wider contextual understanding of your practice, while gaining strong research skills in order to develop interdisciplinary projects underpinned by contextual and theoretical debates. 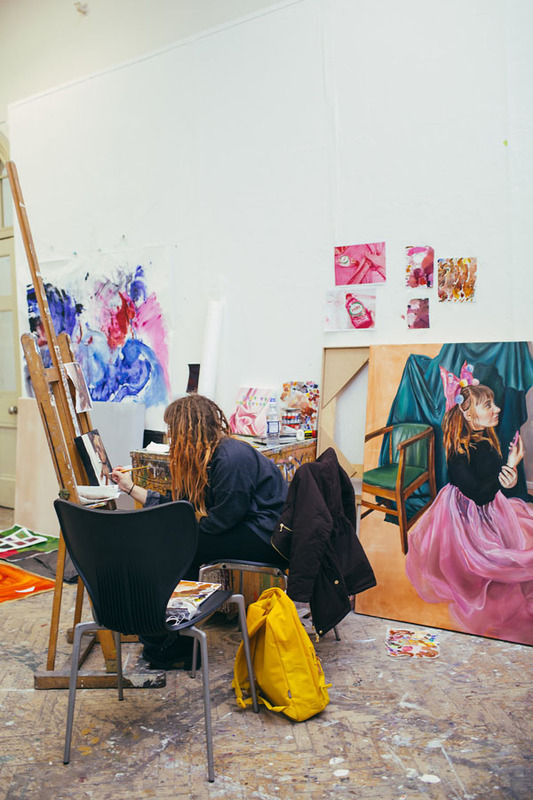 You will be encouraged to develop independent study in relation to different cultural perspectives and a range of contemporary art and design practices, such as fine art, curation, visual communication, fashion, product and interior design. 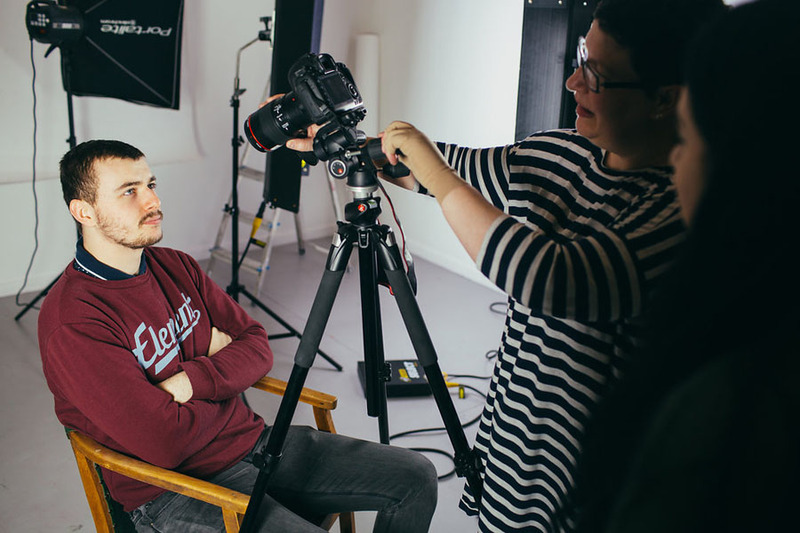 Our graduates progress into many different careers including graphic design, independent contemporary art practice, typography, gallery education, arts administration, event management, photography, community arts and education. Our course prepares you for life as a creative professional, a PhD researcher or work in other career areas. There is scope to work on external live projects and our academic staff are highly experienced with national and international research profiles. 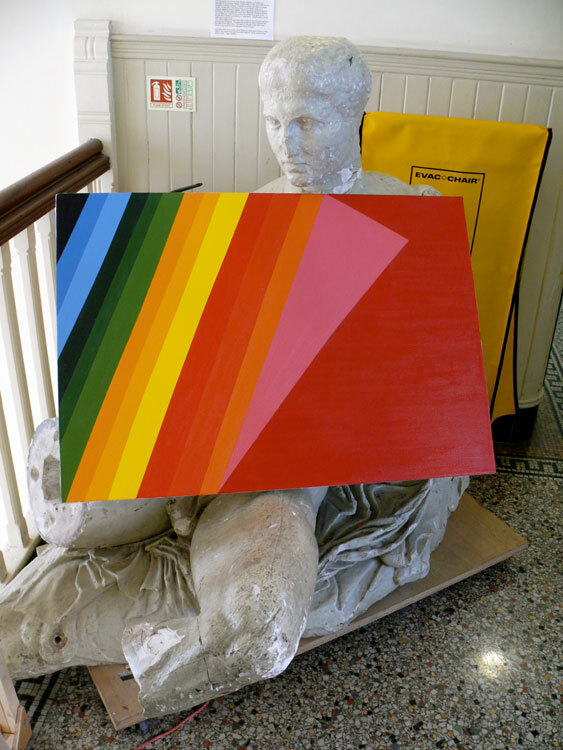 Programme Leader, Andrew Gillespie is a contemporary artist. He has recently exhibited at the New Art Gallery Walsall and also runs Recent Activity, an artist-run initiative based in Birmingham. The course has a growing international reputation with alumni worldwide, with strong professional profiles and working in a range of institutions and organisations. 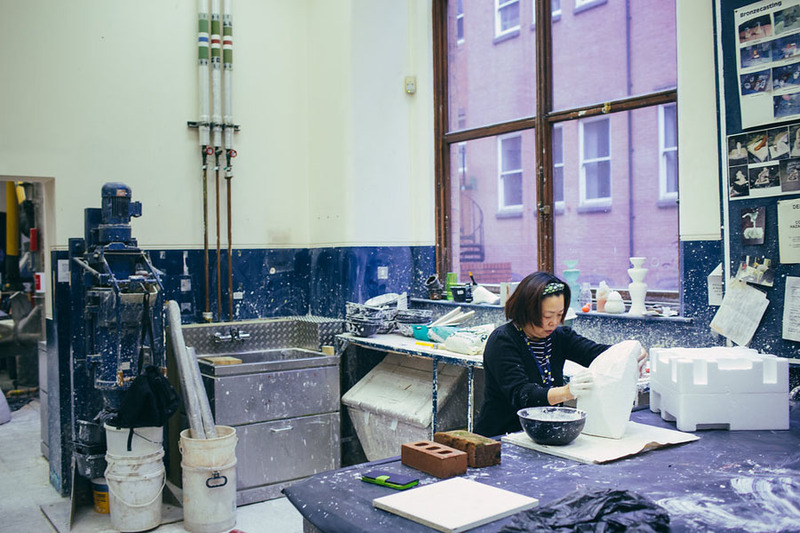 Birmingham School of Art is an internationally recognised (REF 3*/4* rated) centre of excellence for art-based learning and research. 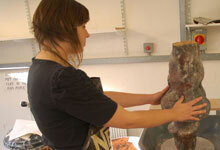 You will become a valued member of one of Birmingham School of Art’s research centres. 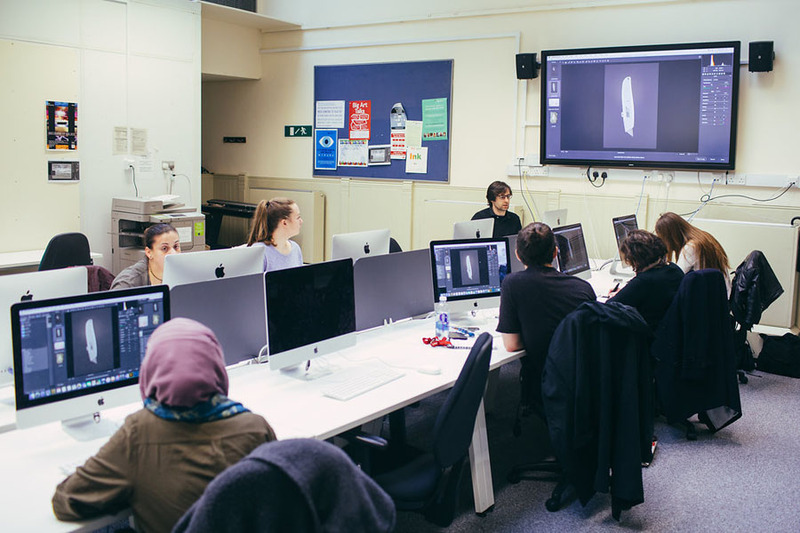 You will have the opportunity to interact with students from other Master’s courses located at Birmingham School of Art and the wider faculty oruniversity. You will be supported by a highly professional staff team, doctoral researchers, technical demonstrators and artists in residence in a caring and supportive environment. We have good external links with internationally recognised galleries (Ikon, BMAG, Tate) and organisations in the creative industries (ELIA) and the wider community. Financial support may be available via the Postgraduate Loan initiative, Birmingham City University Scholarships, the Gertrude Aston Bowater Bequest and Mike Holland Trust. Year on year our programme has achieved high rankings and favourable responses in the Postgraduate Taught Experience Survey (PTES). 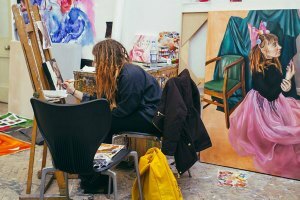 Overall full time student satisfaction in the Postgraduate Taught Experience Survey (PTES) 2015- 16 for Art-based Masters programmes was 82%. The school achieved high scores in areas such as staff enthusiasm and support, enhancement of academic abilities, research skills development, student experience and quality of delivery. We also achieved high levels of achievement and success in other areas such as 42% of our students graduating with Commendation and 47% of our students graduating with Distinction. The survey results also reflected high levels of employment and employability as a result of studying the course. If you’ve got any questions about the course, we’d love to hear from you. Please email the Course Director: Andrew Gillespie. 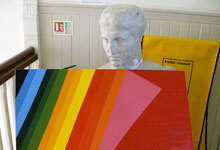 BA (Hons) Degree in Art and Design, Fine Art, or other Arts-based Degree course, related subject. The minimum academic qualification required is a 2:2 award. Those with equivalent prior professional or life experience will also be considered. You are required to submit a digital portfolio of no more than 12 high quality images of your recent art and design work. You may submit it as a power-point, comparable form of presentation such as Prezi or direct us to your website. 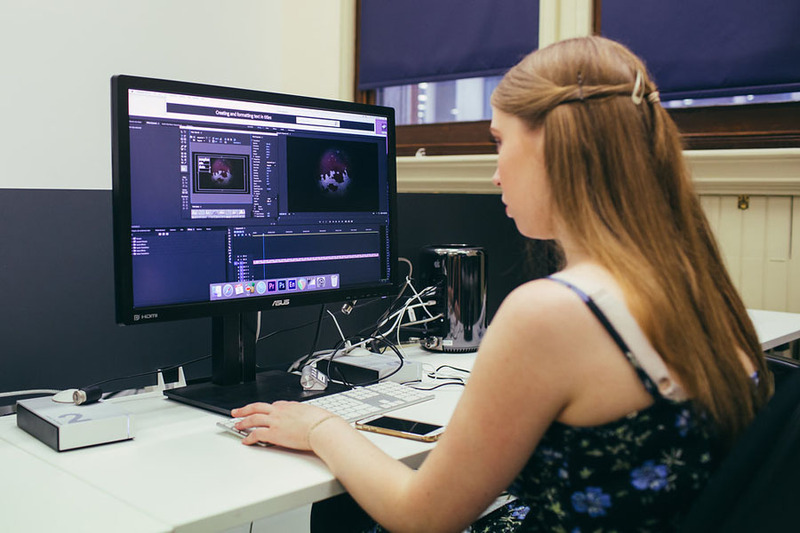 If you are working with video or sound you must submit a show-reel of selected work no more than 20 minutes in length. All items must be accompanied by the title of the work, date, media, and size. For time-based work you must state the length of each individual work. This module is self-directed by you and allows you to develop your individual and/or collaborative practice in whatever form it takes in relationship to the development of your theoretical and/or contextual research. In the first instance it is anticipated that you will reorientate your practice and that this will be moved forward through practical experimentation and research towards the creation of a developmental platform. There is also an opportunity to acquire new practical skills in alternative media and/or related disciplines where relevant. This module, Contemporary Philosophy & Aesthetics explores how Fine Art is made and understood conceptually. 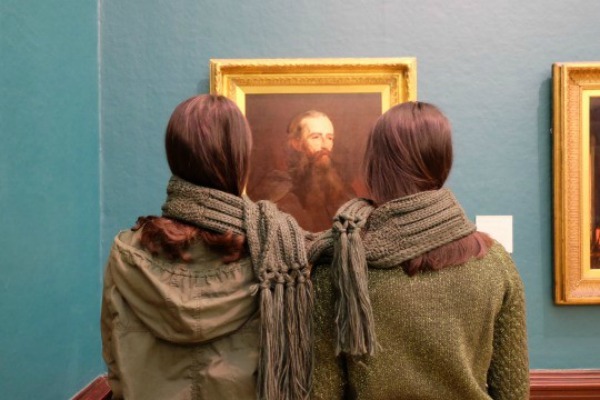 How thinking in Fine Art works. This may inform research into practice via the meeting of philosophy, visual culture and social contexts within Fine Art practices. We may look at exhibitions artists and cultural discourses. For example: texts, films, music, fashion and events. It sets the stage for developing your own critical knowledge of the complexities underlying modern and contemporary life and in so doing, building your concepts and language, in your own practices. 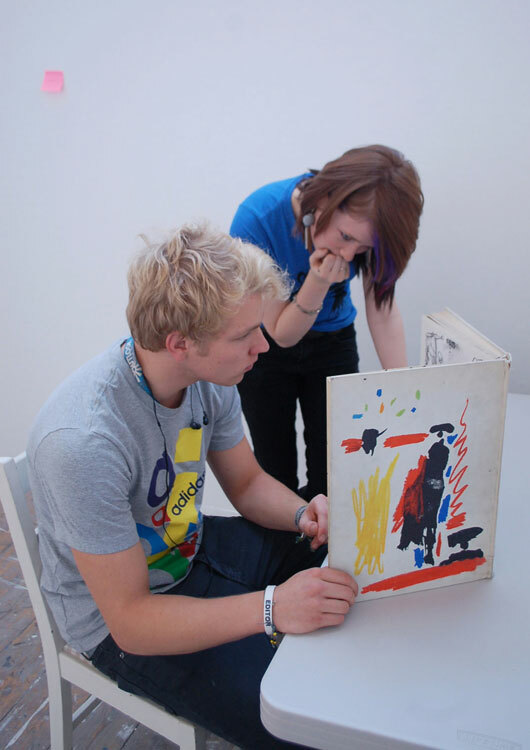 The purpose of this module is to introduce you to contemporary curatorial thinking. 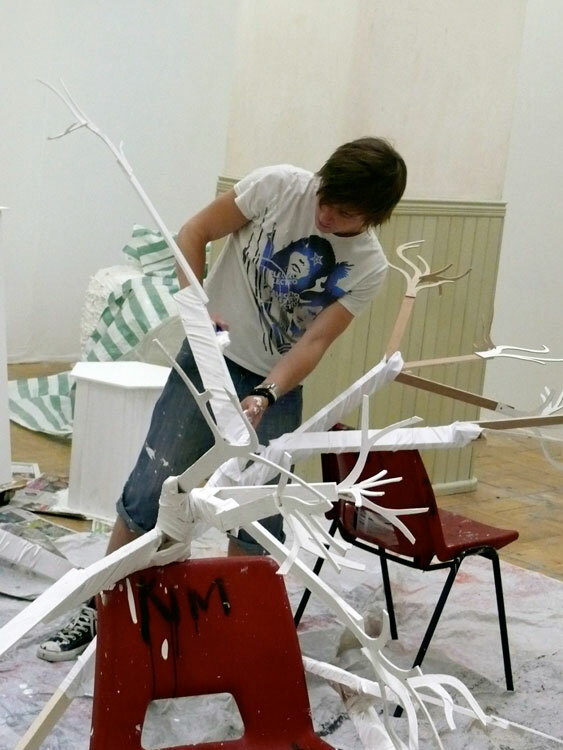 Throughout the module, you will encounter a range of concepts, themes, approaches and methodologies relevant to your discipline including the role of the curator and exhibition making; the museum and gallery as context and framework; the role of the artist-curator-artist, curating for new media and technologies and curating global exhibitions. You will be supported to develop skills in confidently articulating your knowledge in verbal and written forms. This module attends to both historical and contemporary models of practice in relationship to the emergence of queer theory. We will explore a range of art practices and queer methods that critique or subvert dominant modes of representation and operation. 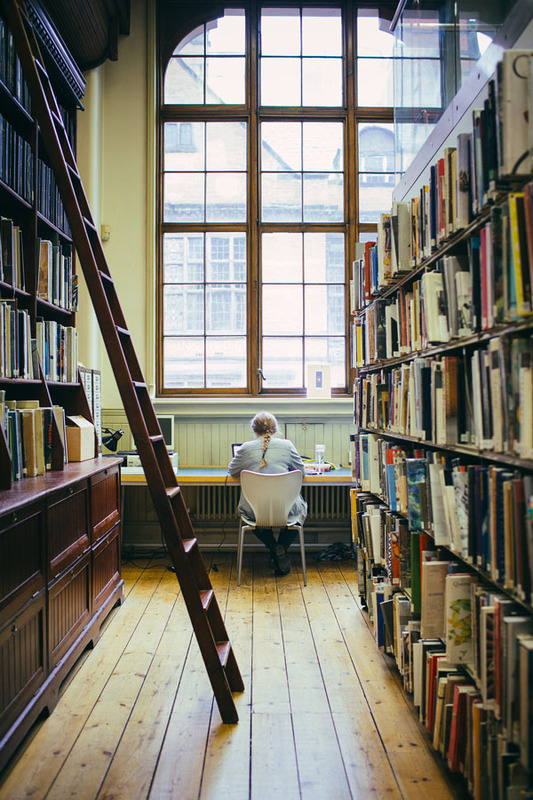 Focus is given to the following areas: Introduction to queer theory, Art beyond representation, Queer Speech, Queer horror, Education and transgression, Queering the Archive; Care; Queer reading. 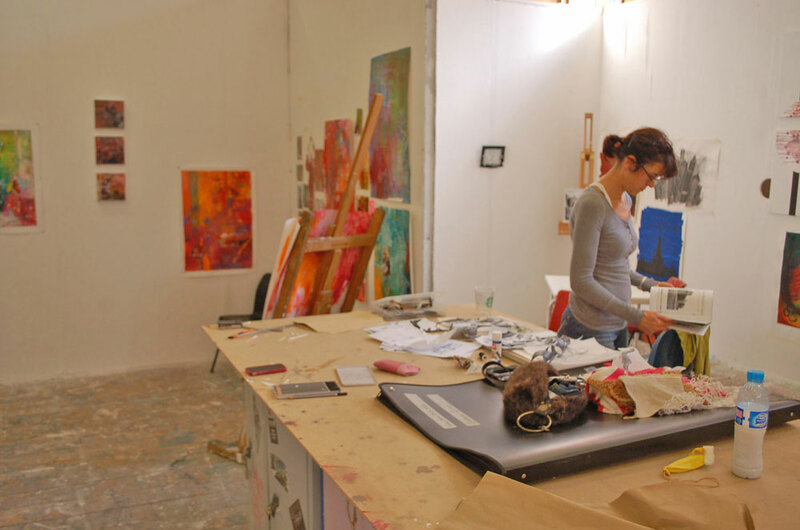 This module provides you with an insight into entrepreneurship and small business start-up within the arts and related sectors. Its focus is an exploration of the practicalities of starting-up a creative business. It also covers the nature of the creative industries as a whole as well as the significance of entrepreneurship within the arts and society as a whole. The acts of photographing and researching are intrinsically linked. They are both activities concerned with expansion and contraction. If we imagine a photograph as a means to isolate a sphere of reality (with all of the caveats this statement demands) that are rendered, most often, in fractions of seconds. Then we could think in a similar way about research. An effort to know more and more about less and less. 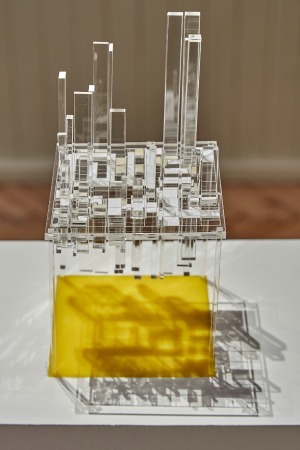 This module will explore publishing as a dynamic contemporary art form, a vehicle for the dissemination of ideas and an exploration of radical formats for bringing your art to a wider public. You will be introduced to artist-made books, self-publishing, digital publishing and other non-gallery modes of sharing and communicating art. The module will be based on a specific workshop process (e.g. 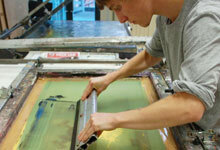 for example in the print room this might be etching, screen-print or lithography etc. ), technical method (e.g. 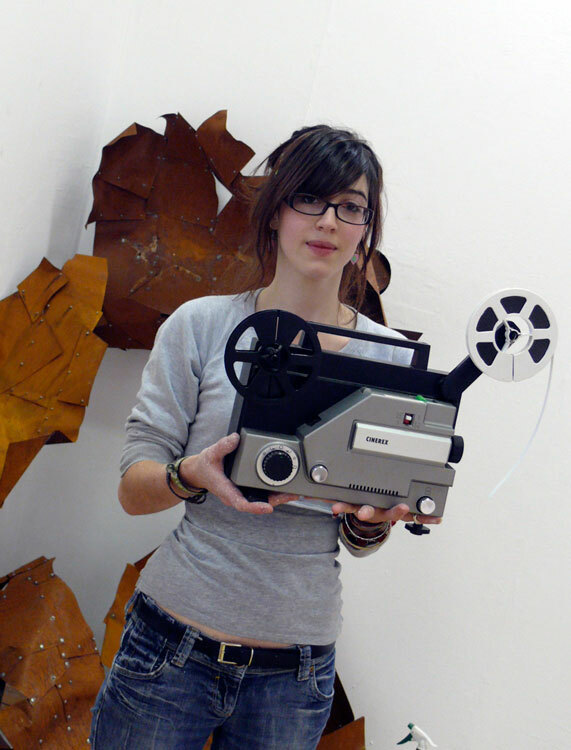 for example this might be around casting techniques, film and video making, 3D modelling etc.) or material (e.g. for example this might be an investigation into the material properties of clay, stone, a textiles material, etc.). You will independently identify and investigate your chosen line of enquiry to enable you to engage in practical hands on experience of a fabrication/production process. The module examines art as a social practice, its relationship with our present time and links to historical works and contexts. You will be introduced to key examples and debates within Social Practice with focus given to the following areas: Activism, Antagonism, Participation, Collaboration, Community, Environmentalism, Relational Aesthetics, Socially Engaged Practice, Dialogical Art & Institutional Critique. 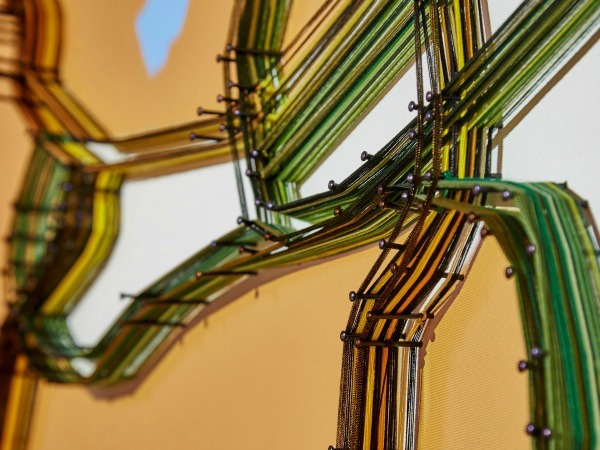 This module provides a grounding in arts and transcultural communication, using artistic practices and discursive frameworks to highlight and examine issues related to communication. Communication, but also translation and interpretation intended from a linguistic, visual, cultural, artistic and curatorial perspective, are crucial when working internationally (and locally) with different communities. This module is for those students who aim at working and researching in a transcultural global environment more critically and effectively. Full-time students have access to the School daily. Part-time students are expected to be on-site on Tuesdays and on evenings throughout the week depending on which taught modules they choose. 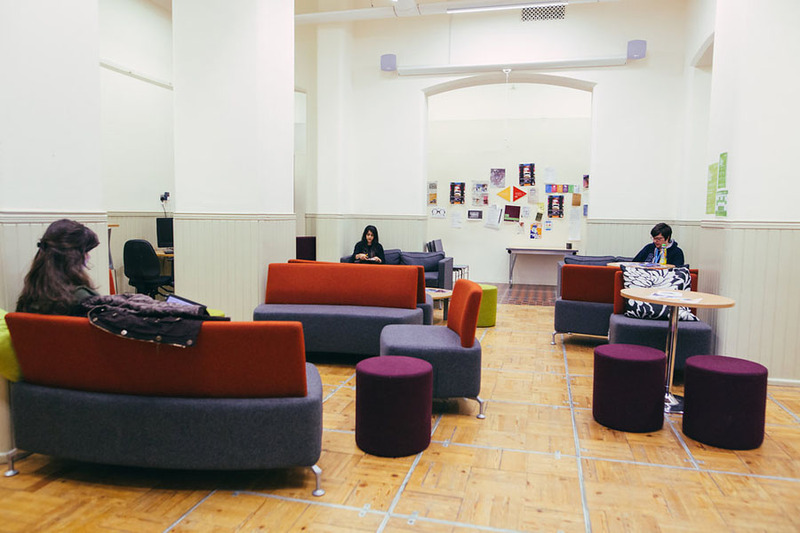 Part-time students have open access to the facilities. Some students use them one day per week, others throughout the week. 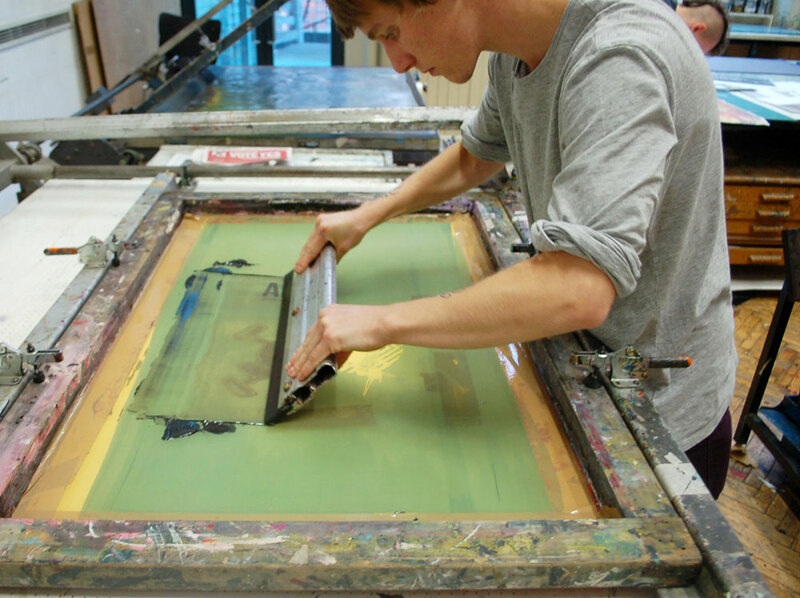 Part-time students have the opportunity to work on-site in the summer months in the run up to the final shows. Teaching will be dynamic, collaborative and exploratory, providing a platform for the independent development of your practice. You will be involved in group tutorials and student-led seminars that invite you to present your research and practical work for the group to consider and critically evaluate. The intention here is to share your ideas with other people who become critical friends to help you think through your work in new ways. Throughout the course, students are encouraged to make public exhibitions and events, opportunities to test and to showcase work. 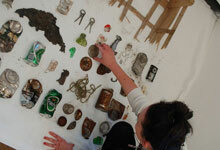 Alongside this, students are invited to contribute to the Interim Show as well as the Final Masters Exhibition. These are well-attended public events that attract people from all over the region and further afield. Our students have a reputation for being ambitious and year on year our shows are exciting and thought provoking. 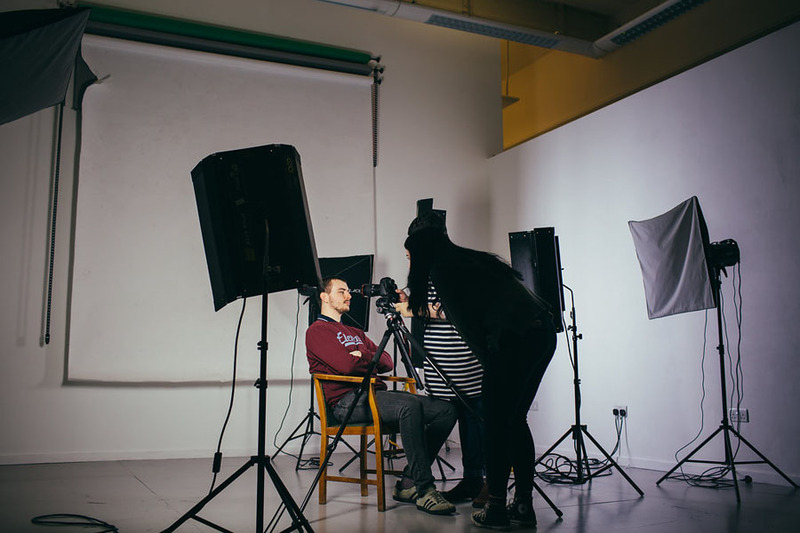 All of our students work towards the shows with support of the technical support team and you will be enabled to test out your work and gain feedback from your peer groups, academic staff and the public. As a result of the final shows numerous students have gone on to establish their profiles internationally. 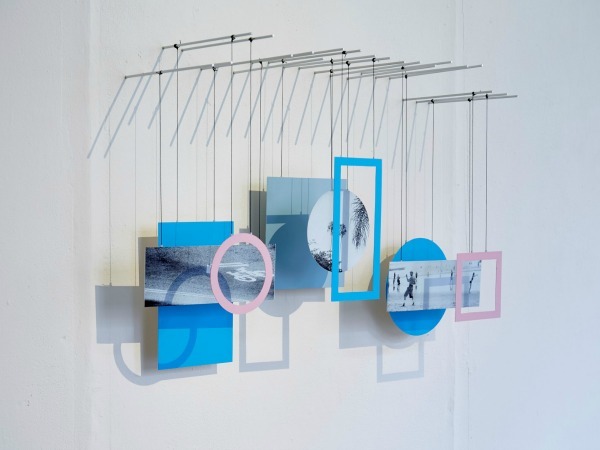 Visual artist Claire Hickey makes self-responsive sculptural objects, installations and multiples. Her residency and exhibition venues have included AirSpace Gallery; RBSA Gallery; Kingshurst Arts Space; National Trust’s Croome Court; Women’s Art Library and the Museum of Motherhood. 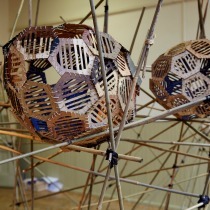 She co-founded Make/Shift/Space, a portable structure hosting artists’ public projects. 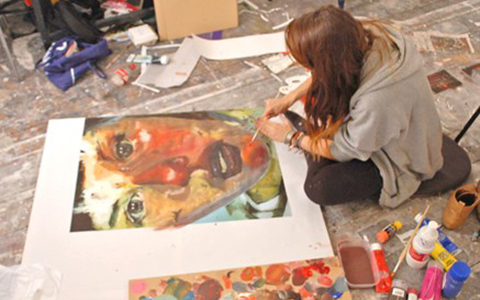 As an Art Based Master’s student you can study abroad through the Erasmus + scheme. This enables you to work abroad in an institution or professional organisation or one of our many international academic institutional partners for example in Rotterdam, Gent, Dublin and Rome. You’ll be expected to research their proposed destination before making an application in consultation with your Course Director. The study period may be organised during or upon completion of your course and can last for up to 18 months. It offers a unique opportunity to network, make friends, enhance your CV and experience new cultures. By joining this world-leading research environment, you will be eligible to apply for the prestigious Midlands Three Cities Consortium (£14.6million research fund) AHRC doctoral training award. This consortium enables strong research within the Midlands. A significant number of graduates have been highly successful as doctoral researchers receiving fully funded scholarships from Birmingham City University, the AHRC and the Gertrude Aston Bowater Bequest. 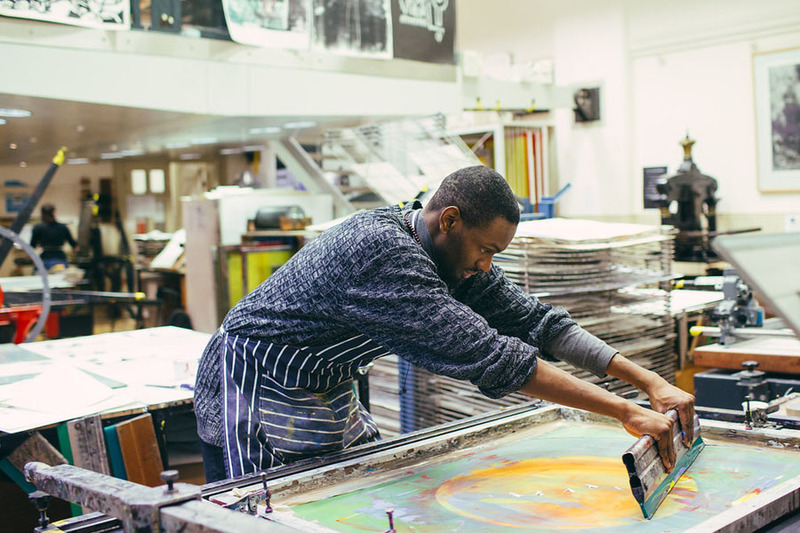 As a Master’s student, you’ll benefit from the trips run annually by Birmingham School of Art. Recent visits have included: Berlin, Florence, Liverpool, London, New York and Venice. However, you’ll be encouraged to operate independently and visit regional and national cultural centres such as Birmingham Museum and Art Gallery, Ikon, Eastside Projects, the New Art Gallery Walsall, Nottingham Contemporary, Tate Modern, ICA, Tate Liverpool and independent and alternative spaces in Birmingham and beyond. Graduate employment is high. 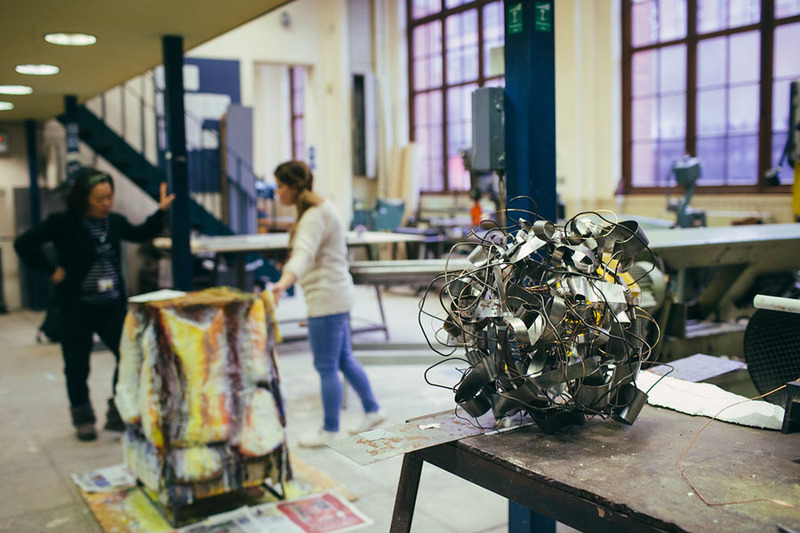 In the 2014-2015 DLHE survey 100% of full time and 87% of part time students who joined the Art-based Masters programme graduates were in employment with graduates from 2013-2015 earning between £20,000 and £35,000 per annum. A high number of 2014-2015 graduates reported that the programme prepared them well or very well for employment. 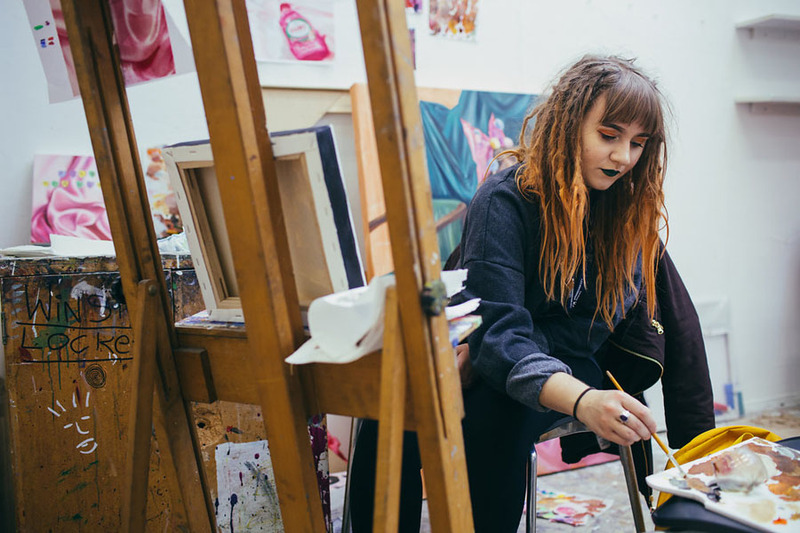 While most artists are self-employed many already have or wish to gain employment in a range of related professions across the creative industries. Some people are looking for ways to enhance their skills set, some are seeking ways to advance in the profession they already have whilst others are seeking a change in direction enabling them to do what they have dreamed of. The acquisition of transferrable skills: creative problem solving; communication and presentation skills; adaptability and flexibility; independence and teamwork and good time management is important. Specific modules have been designed to address employability e.g. Managing Arts Events and Projects; Technical Methods, Workshop Practice and Learning; Small Arts Business Set Up and Creative Publishing and Public Dissemination. A significant number of our graduates have been appointed in Higher Education Institutions nationally and internationally. Placements are one of the possible ways of fulfilling your Research in Practice module and numerous students across the ABM Programme have chosen this route. There is scope for placements with a number of organisations in the city and beyond, however it is your responsibility to plan and organise your placement with the organisation you wish to work with. Placements can last for a few weeks or last for a longer period of time. They provide you with a great opportunity to gain insight into how an organisation works and your reflection on their activities can be useful to them as you develop your research. You will also find that this is a great way to meet and network with people in the creative industries. Our members of staff are able to guide and support you through this process. 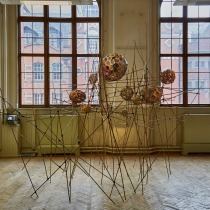 Flora works at the Ikon Gallery, Birmingham in the Learning Department. 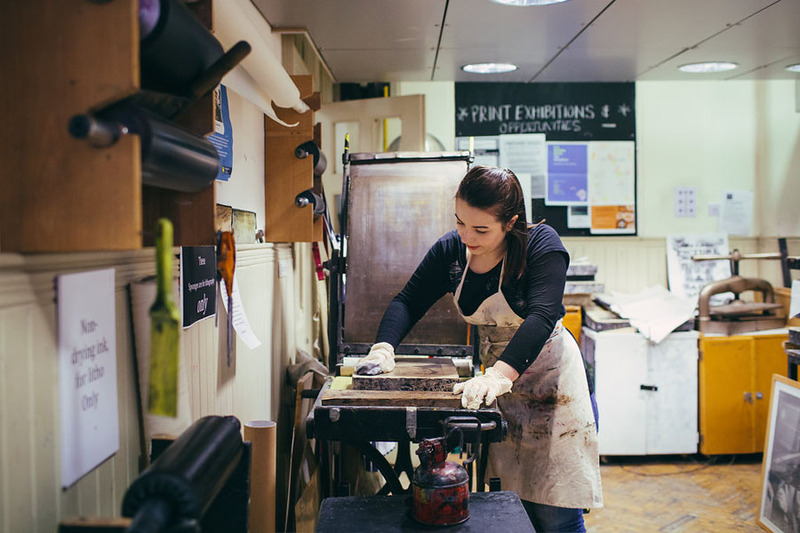 Her art and design practice involves printmaking, visual communication and spatial design. 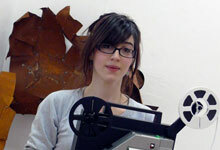 Flora’s BA(Hons) was in Visual Communication and Illustration. 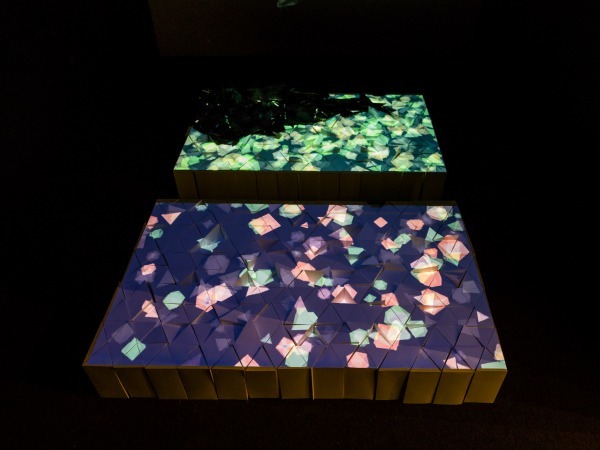 Flora’s practice considers the changing role of Art and Design education and emerging interdisciplinary course structures. She explores how practitioners use space within art institutions and how the functionality of space has evolved to reflect the needs of practitioners and art educators. Flora asks what this means for the future of the Art School. 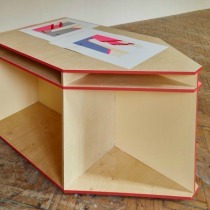 Her interdisciplinary practice uses illustration and printmaking to design a flat pack style, functional workspace that reflects the professional reality of today’s artists and designers – encouraging social awareness and trans-disciplinary or collaborative projects. Jo is a visual artist, illustrator and costume designer. 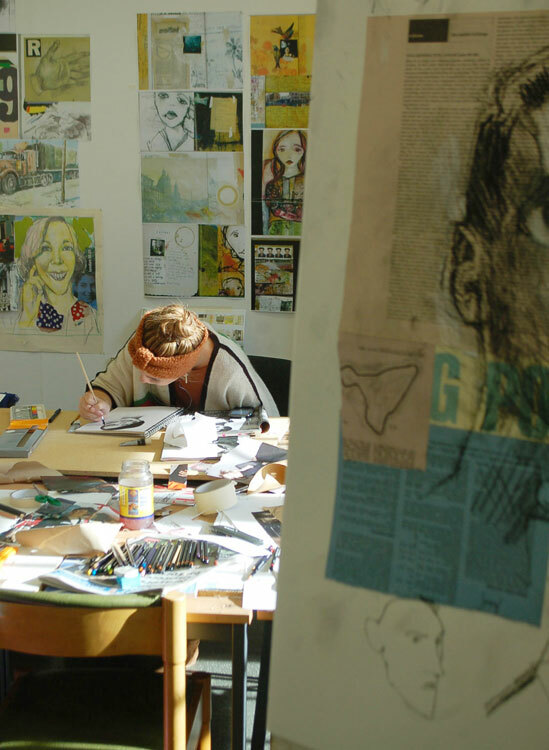 She teaches on the BA (Hons) Illustration course at BCU and her previous collaborations have included clients such as Royal Shakespeare Company, Crafts Council, Welsh National Opera, ITV London, Tatler and Cosmopolitan. In 1993 Saddam Hussein systematically converted 6000 square miles of wetlands in Southern Iraq into a desert, removing all natural life and reed beds. This displaced the Nomadic Marsh Arabs known as the ‘Ma‘dan’, completely annihilating a 5000 year old culture. 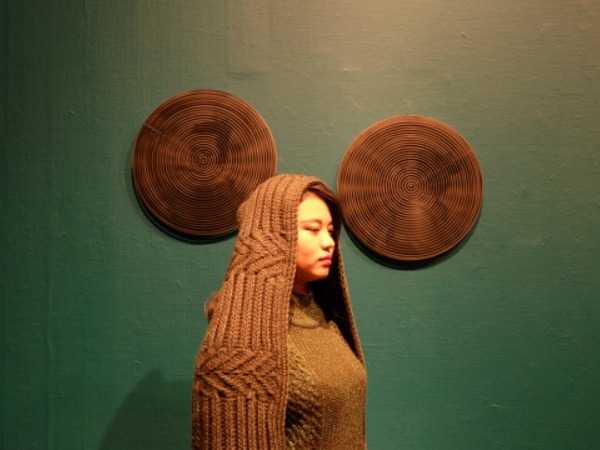 Jo says of her work, “I aim to challenge how people think about the every day life of the ‘Ma‘dan’ with the aim of preserving and protecting this unique community of nomadic craftsmen and women”. Many graduates continue as practising artists and work in arts-related occupations, it is anticipated that students graduating from the course would pursue careers in the creative industries, graphic design, textile design, photography, digital design, exhibiting artists as well teaching. Others are encouraged to pursue higher or research degrees. 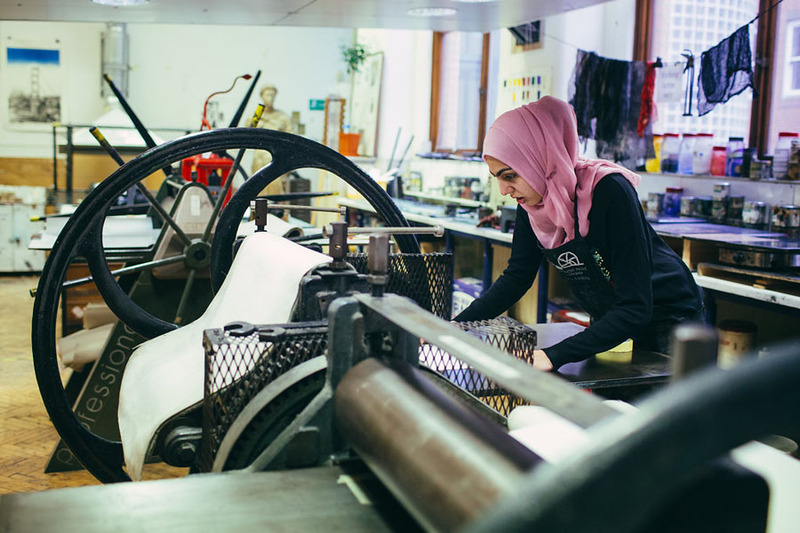 With our partners, New Arts West Midlands and Eastside Projects, our students are actively linked with up-to-date local and regional opportunities. 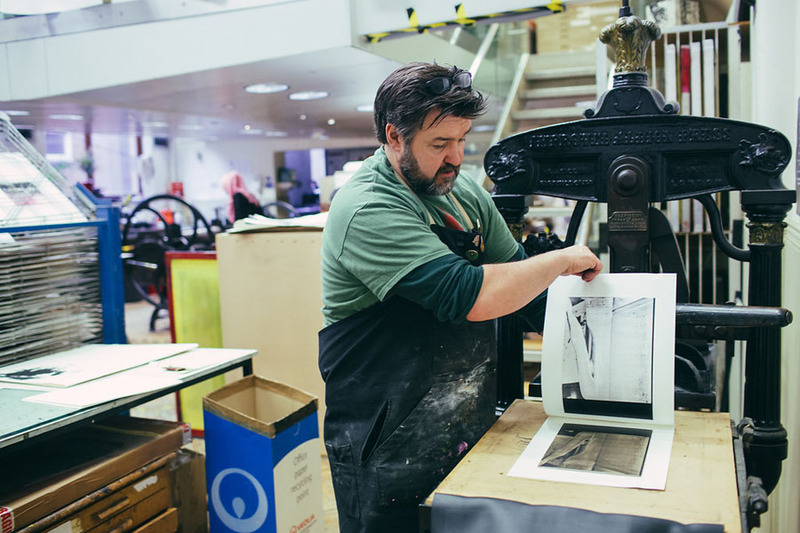 We maintain excellent connections with major institutions such as Ikon Gallery, Birmingham Museum and Art Gallery, Selfridges, Birmingham City Council, the Lunar Society, the Longbridge Light Festival, Birmingham Hippodrome to name a few. We are also members of the Colmore Row Business District. 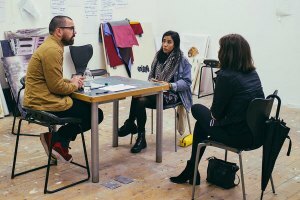 The School works with Savills, Capsticks, Associated Architects and Deutsche Bank who sponsors of an annual award (£10,000) to support artists’ career development. 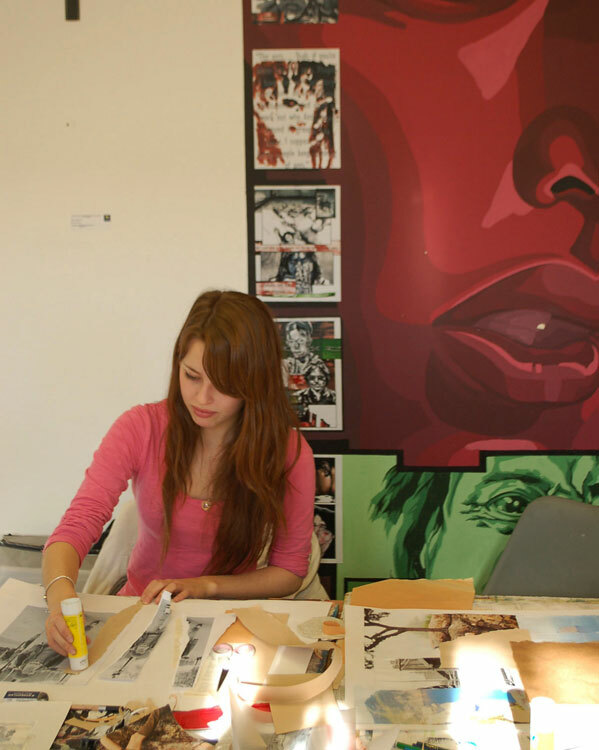 Numerous graduates have achieved excellent profiles as professional artists in the sector. The Art Based Master’s Programme is an international community of aspiring researchers and professionals and the programme attracts candidates from all over the world including: Africa, Brazil, Bulgaria, Canada, China, Cyprus, Finland, France, Germany, Greece, Holland, Italy, India, Iran, Israel, Japan, Lithuania, Kazakhstan, Malaysia, Nigeria, Norway, Poland, Romania, South Africa, Saudi Arabia, Thailand, Taiwan and the USA. This diversity provides you with an opportunity to study with people from diverse social, cultural and ethnic backgrounds and who bring a wealth of experience to the programme. This gives the ABM programme a dynamic energy that enriches everyone’s educational experience. 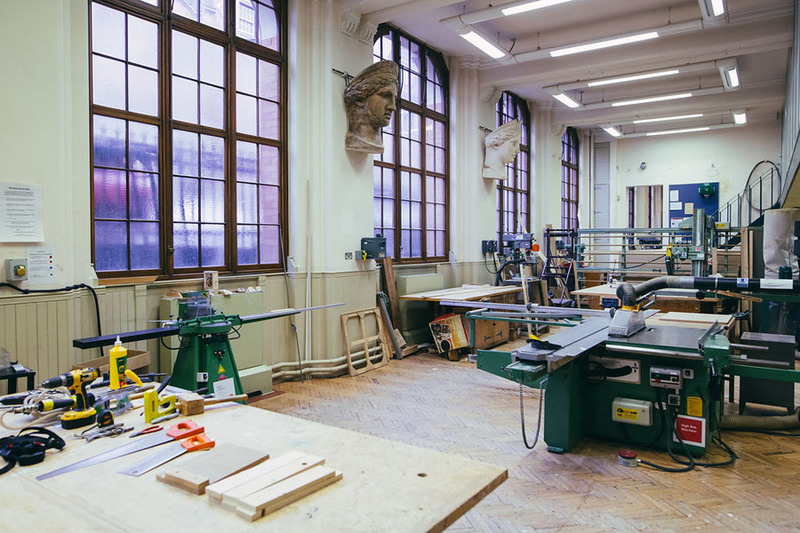 Birmingham School of Art (an impressive purpose built Grade 1 listed example of Venetian Gothic architecture) was the first major renovation project undertaken by the university (£5.5m refurbishment). 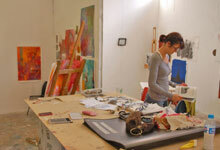 The School provides an incredible resource for the production of art and its associated fields of study. 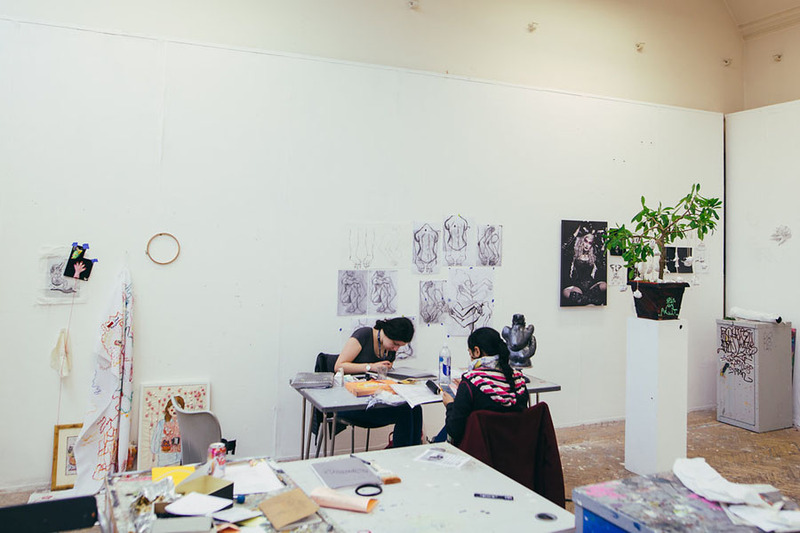 The building has a range of facilities available including studios, workshops, specialist art and design library, bookable spaces and lecture/seminar rooms. The building is open Monday to Wednesday 8am – 10pm and Thursday from 8am- 8pm and Friday from 8am to 7pm. Full Time students have access daily across the week whereas Part Time students are expected to be on-site on Tuesdays and also on evenings across the week, depending on which modules they choose to take. 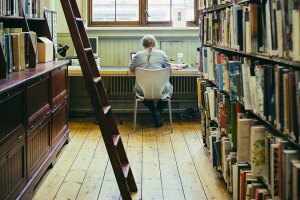 Part Time students have open access to the facilities and while some students are only available to attend one day and evening per week, others use the facilities across the week. 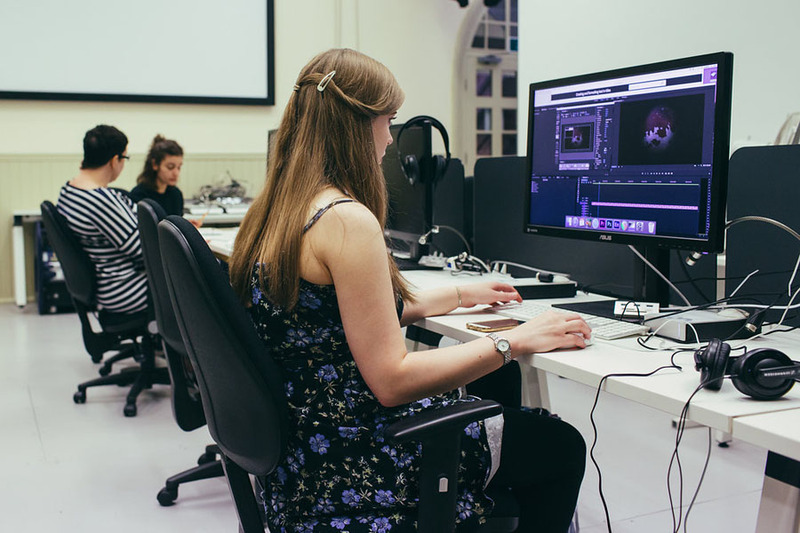 Part Time students also have the opportunity to work on-site in the summer months when there is more flexibility in the space available, which is particularly helpful in the run up to the final shows. The MA Art and Design: Interdisciplinary Practices staff team are regionally, nationally and internationally recognised for their expertise and experience in a range ofpractical, professional and theoretical specialisms including digital media, textiles, critical design, curating, fine art, drawing, installation, photography, print, and critical writing. Programme Leader, Dr Daniel Hinchcliffe co-edited the book ‘Speculative Strategies in Interdisciplinary Arts Practice’ and was previously Head of Visual Arts at the Institute of Contemporary Interdisciplinary Arts. Andrew Gillespie is contemporary artist based in Birmingham. 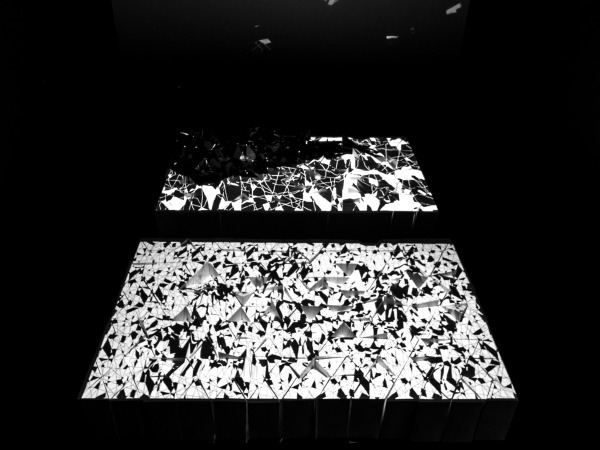 He is interested in the collision of surfaces, structures and materials. He regularly translates familiar imagery and objects through printmaking and casting, exploiting the shift in status and content that occurs with each gesture. 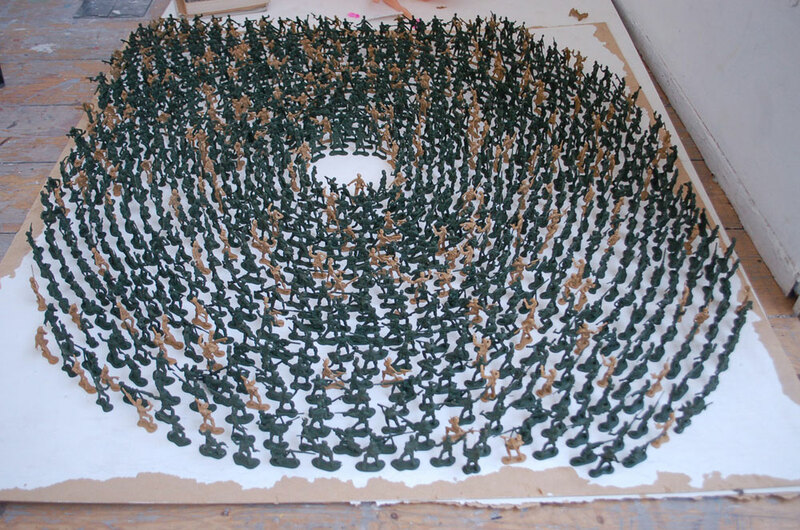 He makes composed constellations of works that often conjure a specific landscape, personal experience or public context. 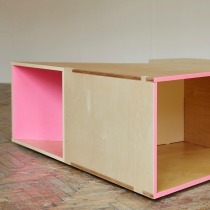 Andrew also organises Recent Activity, a curatorial project in Birmingham. Steve Bulcock works across a range of digital media including animation, motion graphics and digital drawing systems. 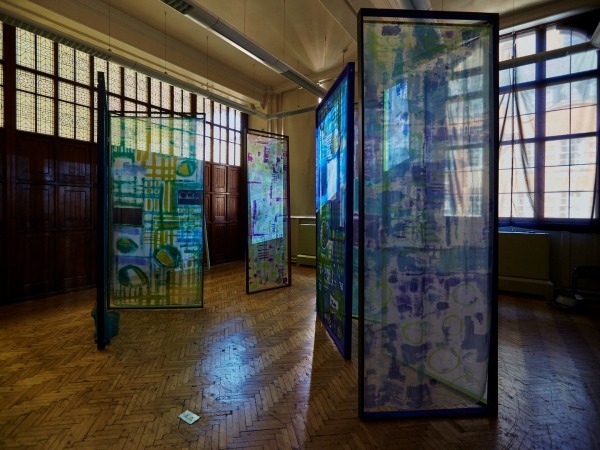 He is Head of Undergraduate Studies at Birmingham School of Art. His research interests are concerned with challenging the notions and expectations people have in relation to their interactions with digital technology. 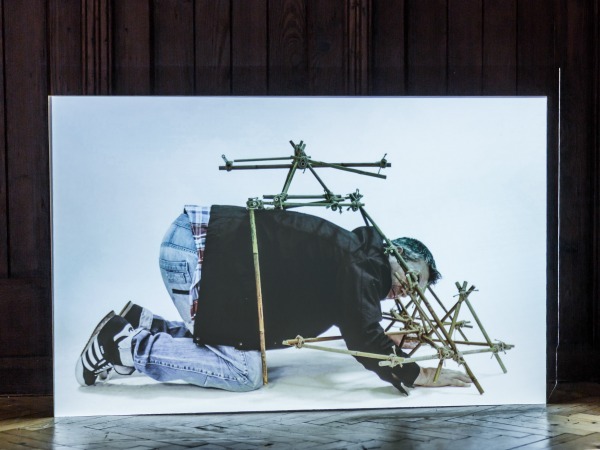 Recent work has involved collaborations with artist Sean O’Keeffe as part of an interdisciplinary research programme at Vivid in Birmingham, which also toured the UK with the Jerwood Drawing Prize exhibition. 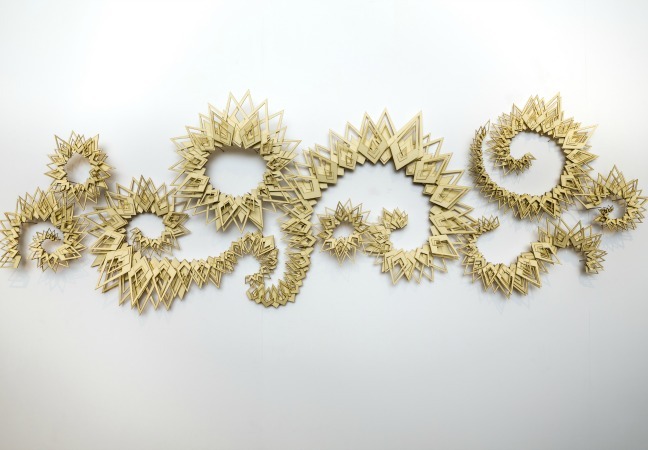 He is currently studying for his PhD, which seeks to investigate notions of the algorithmic surface, computer interface design and authorship in the creative drawing process. Lecturer for MA and BA Art & Design and L4 Coordinator. 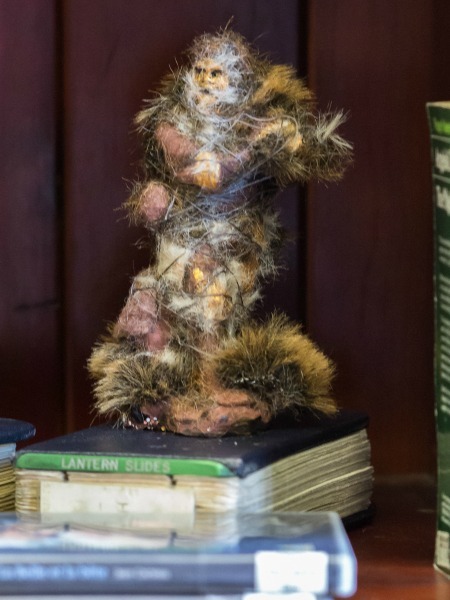 Jane specialises in Design Crafts and Textiles. After graduating from a degree course in Printed Textiles, Jane worked as a freelance designer for the interior and fashion markets, selling work nationally and internationally. Jane then completed an MA in Creative & Media Enterprise and this provoked an investigation into the evolution of western craft practices. Her research now specifically explores the value and relevance of the terms professional and amateur as labels for creative practice, and whether tensions manifest between the two. Changes in the concepts of labour and leisure, along with a democratisation of craft technologies and an increasingly ‘networked society’, have dramatically changed the commercial landscape for the maker. Her research explores how the craft community is responding to shifts in the nature of production, distribution and consumption. Her practice also includes facilitating inter-institutional participatory projects involving collaborative design processes. Lisa holds a B.Soc.Sci in Media, Culture and Society, an M.A. in Fine Art and a Ph.D. in Art and Design. 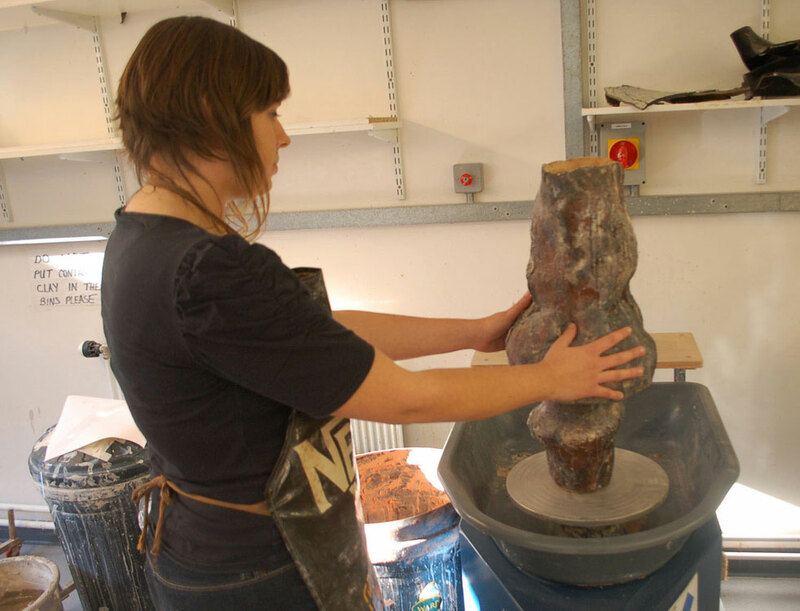 She is an artist and lecturer specialising in the relationship between practice and theory within Art and Design. Her research through art practice PhD: ‘Glittering Orientations: Towards a non-figurative queer art practice’, was completed in April 2014. 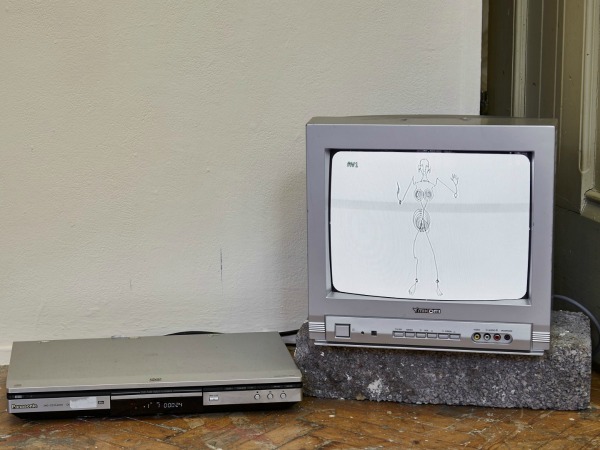 Lisa is currently directing her attention to what slips by exploring (dis)orientation and how we might experience provisional embodiments through encounters with non-representational art. Her work is particularly informed by the tensions between queer theory and phenomenology and how what we 'know' might be usefully troubled by what we 'feel'. Other interests include fabulation, secret languages, vulnerability and critical design. She also writes about werewolves.